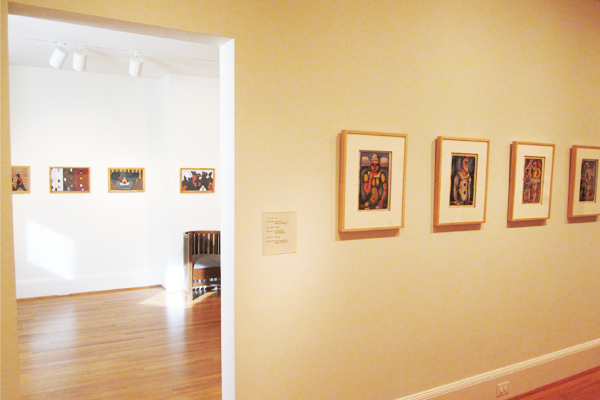 After bidding adieu to Allan deSouza’s The World Series, the empty gallery space has been filled with French fauvist Georges Rouault‘s Cirque de L’Étoile Filante (Circus of the Shooting Star). Just as deSouza’s work elicited an interesting dialogue when viewed next to Lawrence’s series, the neighboring gallery again provides visitors with a thought-provoking comparison. Similar in certain aspects (format, year created, size), the two series differ greatly in content and method. 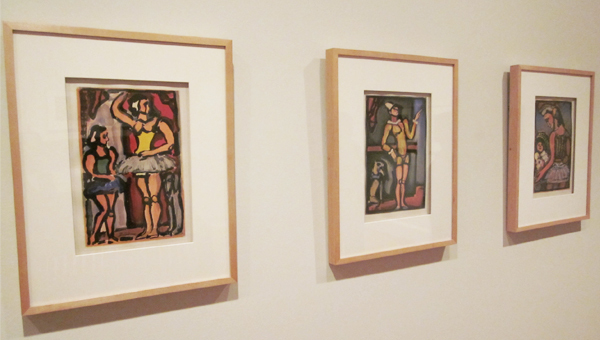 Several of Rouault’s panels include tutu–clad circus performers, adding a playful foil to Degas’s ballet dancers just a few galleries away. This entry was posted in Congenial Spirits and tagged dancers, Georges Rouault, Jacob Lawrence, The Migration Series. Bookmark the permalink.